A kitchen beautiful enough to make it a living room. 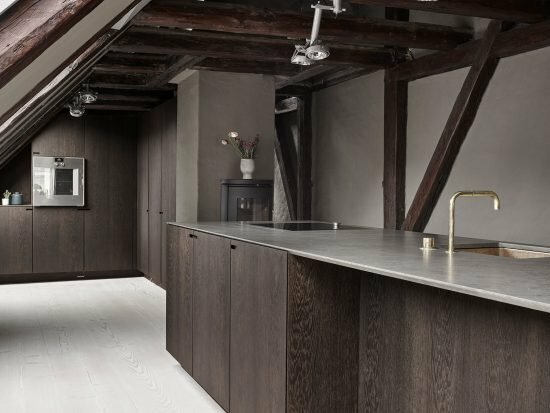 In this building from 1890, the small kitchen used to face the courtyard. The owners turned the former kitchen space into an entrance. 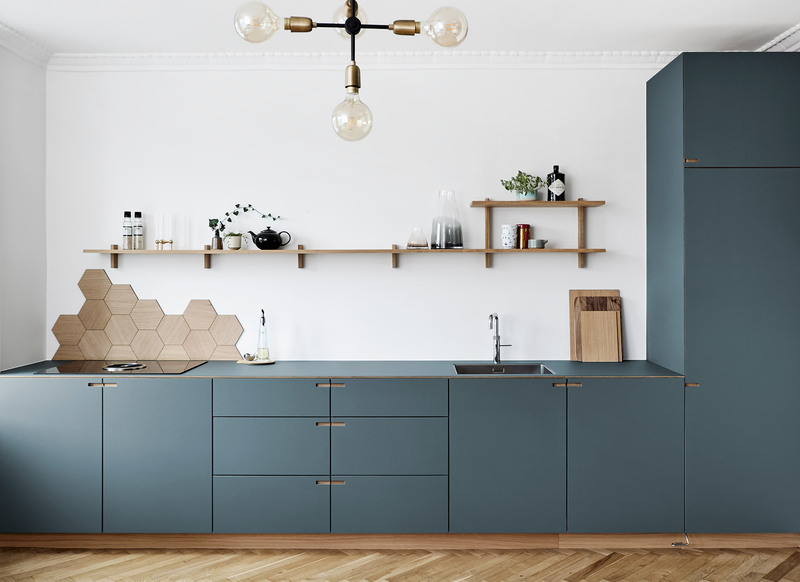 Their new kitchen is now located on the other side of the apartment, giving more light, a spacious feel and a view across the Copenhagen lakes. The new kitchen takes up one of the two en suites. 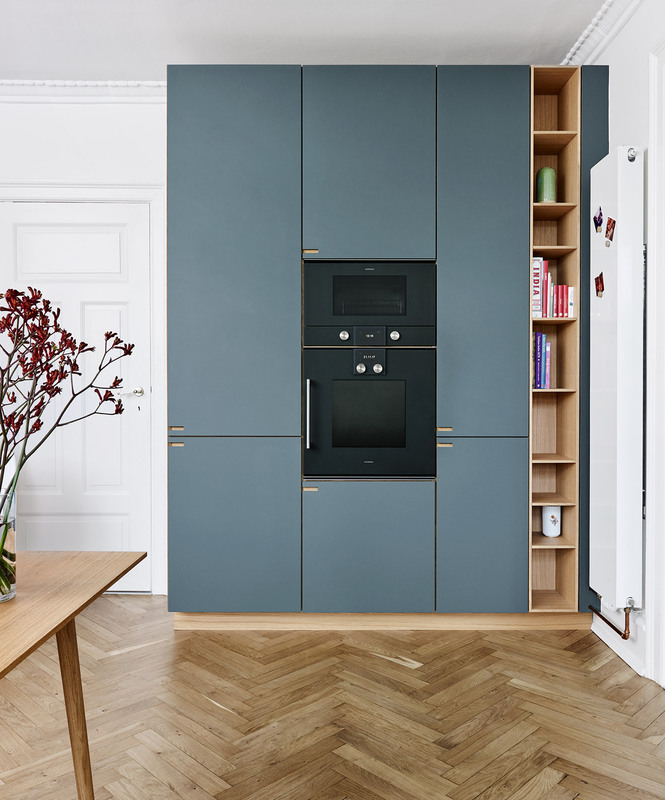 When refurbishing, the goal was clearly defined: plenty of room for the whole family with children, in a beautiful kitchen designed and manufactured locally in Denmark. The owners like to simply contemplate their kitchen from their office space in the corner of the room, or from the couch in the next room. 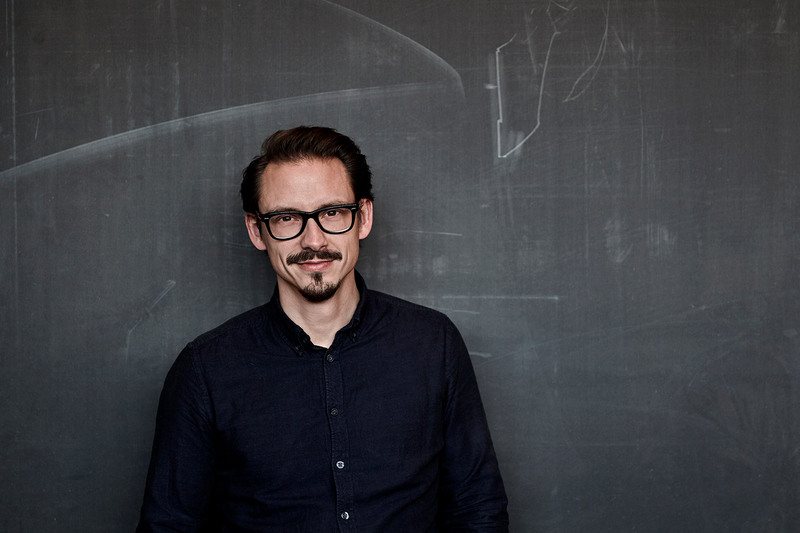 “We love to admire the kitchen and consider it a piece of furniture in and of itself as well as a tool for daily cooking. 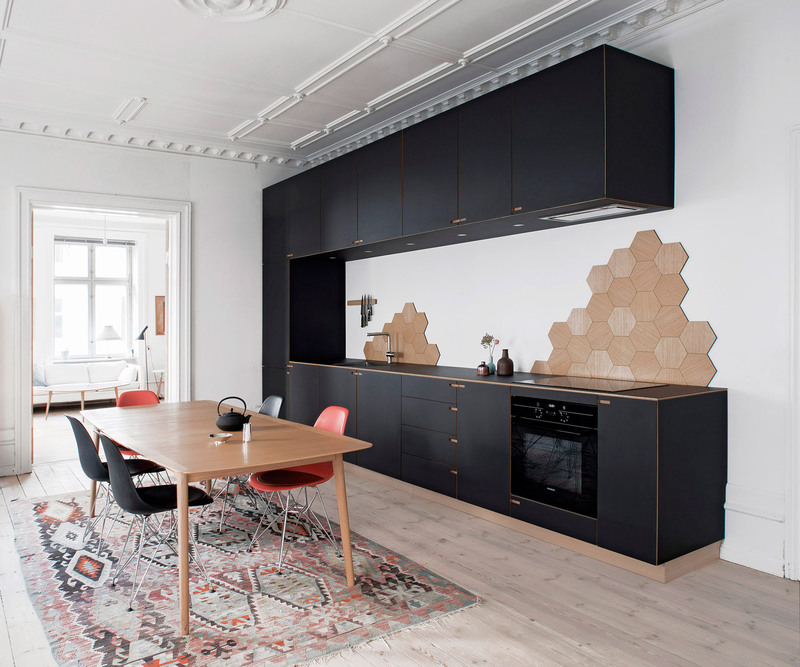 We placed the high cabinets and larger elements against the wall that runs through the middle of the apartment. That way we could place the lower cupboards and the more light-weight, wall-mounted wooden shelves in the more luminous part of the room. This optimizes the amount of light coming in while respecting the original stucco in the ceiling and the wooden window sills. 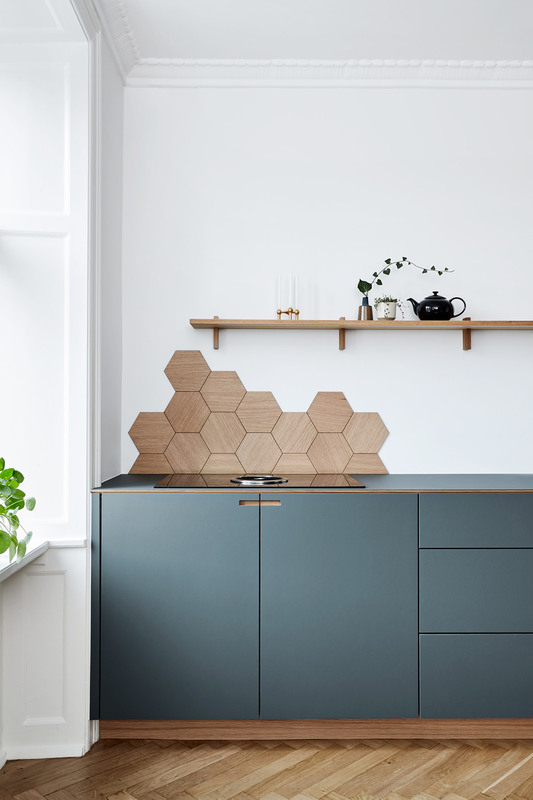 In close collaboration with the owners, we chose a smaller radiator and placed it on the wall right by the door, which worked out very well: “It’s small adjustments like this one that make the kitchen feel as if it had always been there,” the owner said. 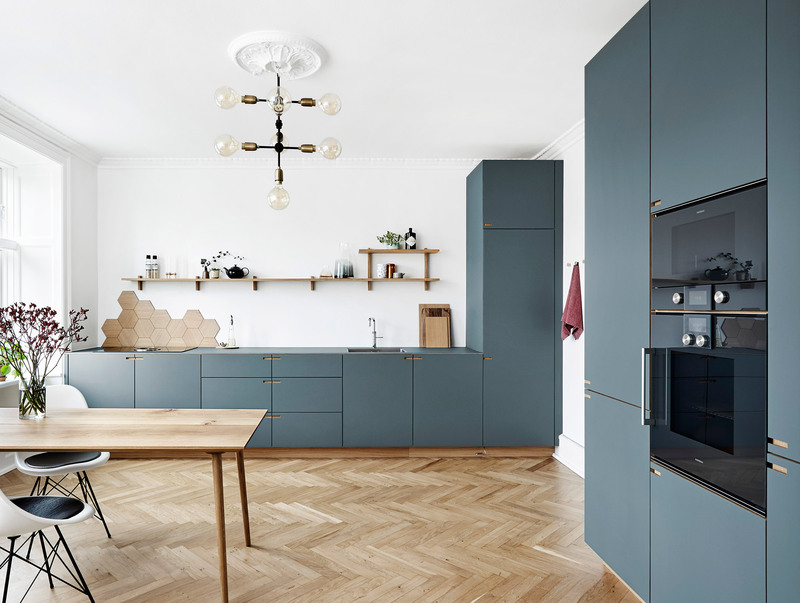 The solid oakwood in this kitchen matches the herringbone oakwood parquet flooring. Both the fronts and the kitchen counter are coated with slate gray linoleum. 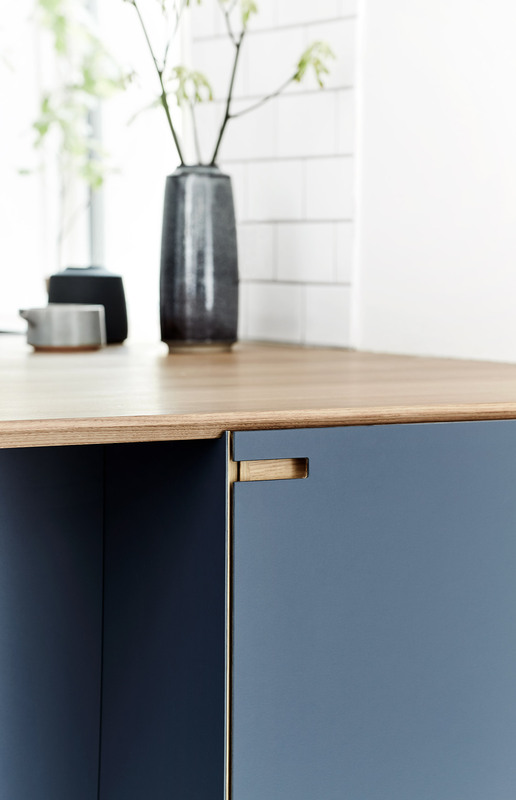 This simple appearance makes the kitchen feel like one single piece of furniture. 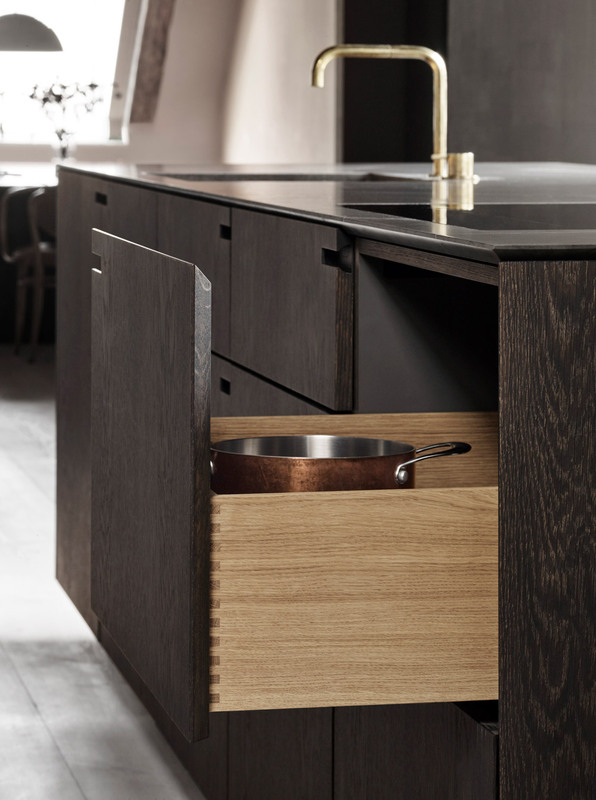 The high cabinets along the wall ensure the best use of vertical space. 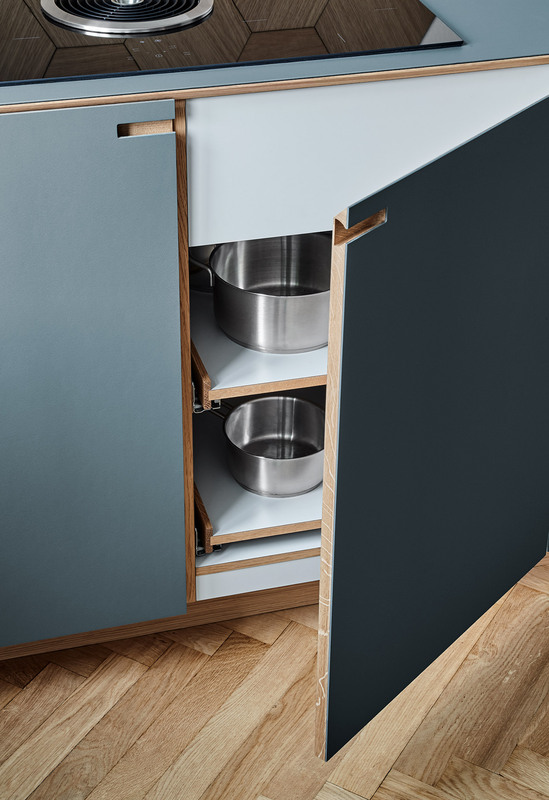 Pullout shelves in the high cabinets give lots of room for storage. 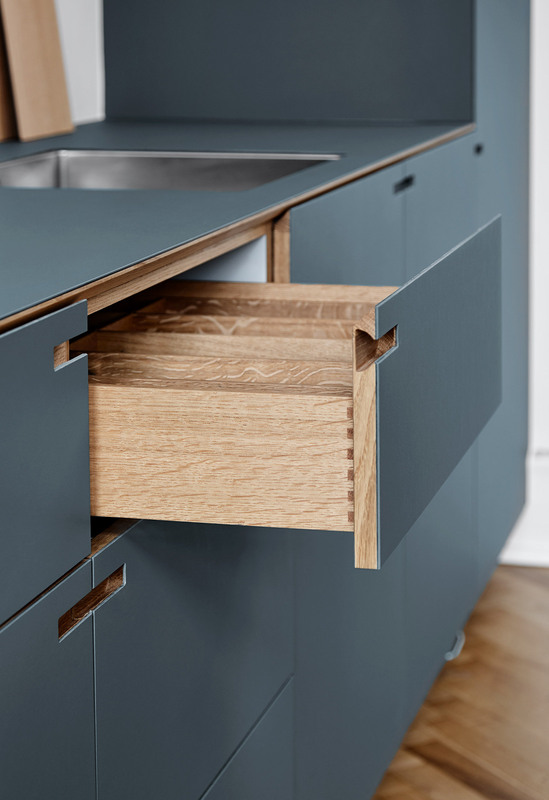 These cabinets are placed discreetly to allow for a free-standing dining table by the window, at a proper distance from the 5 meter-long kitchen counter.